What is the difference between speech pathology and speech therapy? Should I attend SpeechNet or Pop & Top – Groups? Do Parents have to attend sessions at schools and Child Care Centres? What happens at the initial assessment/consult? Can I come into sessions with my child? What if my child is shy & doesn’t talk? Do you use set programs or techniques? Do you use Ipads and computers? Why are you “just” playing with them?How often are the sessions?How do I know if the therapy is working?I have other children..Can they come in too? Do I pay on the day? Can I get rebates from Medicare? Can I use my Private Health Insurance & do you have HiCAPS? Can I use my FaCHSIA Autism and Better Start Funding? Who runs the Pop & Top Sessions ? My child’s speech and language seems to be average – it’s as good as other children of her age – Why would I would I go to Pop & Top sessions? My child doesn’t stop talking and his understanding is way above other children of his age – People say he might be GIFTED – Would Pop & Top sessions be able to offer him anything? My child appears to be a bit of a late talker – Can Pop & Top Groups help? Can my child attend more than one type of Pop & Top Group? There is no difference.Speech pathologists were formerly known as speech therapists. The profession changed to “pathology” to reflect that we diagnosis difficulties and we do not just provide therapy to treat them. We are also sometimes known as Speech-Language Pathologists to reflect that it is not just how clear speech is, but all aspects of communication such as language, listening and reading. SpeechNet provides formal assessments of your child’s development allowing the identification of strengths and weaknesses in order to develop tailored treatment programs specific to your child. Treatment is then offered on a one-to-one basis. Pop & Top is group based with goals targeting the whole group. Some families choose to start with an assessment with SpeechNet and then the consulting Speech Pathologist can decide in conjunction with you if one-on-one or group or a mixture of both is idea for your child. You do not need an assessment to attend most Pop & Top Groups. For the early talkers and late talkers some families attend a group program block as it provides an opportunity for families to get ideas from a Speech Pathologist. Sometimes this can be enough to boost late talkers reducing the need for individual input. We have clinics at Holland Park West, Kenmore & Springwood. See Contact Us for details. No but they are very welcome to attend if suitable times can be negotiated and the school/Centre approves it. For parents that cannot attend communication strategies can be agreed upon and may include a communication booklet with session goals and home practise indicated, email contact or regular phone calls. 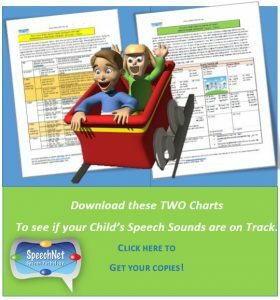 Nothing specific, however if you have Doctor’s referrals, Government Funding documentation, past reports from other Speech Pathologists, Occupational Therapists or other medico or relevant school reports copies can be very important in ensuring the best program for your child is developed in the shortest possible time. If you have concerns regarding feeding and swallowing we ask you to provide foods and eating utensils used in the home so the child is using familiar materials during the assessment. Check with our receptionist with regard to what foods to bring on booking you initial consult. We ask you to complete a case history form to give us some background on your child’s past and current developmental levels. We talk and play with your child for a short time to make them feel comfortable and to informally assess their communication skills at a play & during conversational interactions. We generally administer formal assessments that are appropriate to your child’s age and areas of concerns. These range from naming pictures, moving toys around on requests and reading/spelling depending on the age of your child. If children are unable or unwilling to attend to these assessments we can “informally” assess children using specific techniques to observe areas of concern during general interactions and by asking you lots of specific questions about your child. Absolutely. We believe in a strong partnership with parents and frequently grandparents and carers. We aim to provide you with the techniques and activities to help your child in the home environment and watching and participating in the sessions with the Speech Pathologist is the best way of doing this. On some rare occasions (e.g., brothers & sisters needing attention, changes in behaviour with parents in sessions) and for adolescents it may be decided together to trial session with out parents. This is only done with extensive discussions with carers. In these cases we bring parents into the session in the last 5 minutes to discuss session successes and to discuss ideas for home practise. This is very common and we have a lot of special techniques to help children to relax when interacting with clinicians. We have family friendly environments which help children to feel “at home”. Often for younger children we rely on parent reports of what they see at home as young children often show large variation in the words used and the amount of speech used in different environments. Let us know if your child is shy or anxious and we can accommodate that from the start. We rarely soley use Apps or computer programs for children. Devices such as Ipads can be excellent for communication devices, therapy practise and rewards for good efforts. Consequently we may incorporate electronic devices but this would be discussed with parents when developing the goals for our child. Why are you “just” playing with them? Research shows that children and in fact adults learn best when they are having FUN. Consequently even though it may look like we are “just playing” there are always underlying goals of therapy behind the “games”. The Speech Pathologist will always explain what they are doing and why they are doing an activity, however, If you are unsure of the purpose of any activity during a session please ask. Each child is an individual and have different areas of strengths and concerns. The frequency of sessions will be negotiated between yourself and your Speech Pathologist taking into account your child’s needs, your family commitments and financial implications. For individual session the majority of people attend for a half hour session once a week. However this varies greatly with some families attend for 45min or 1 hour sessions weekly or twice a week. Fortnightly and monthly session are used offered and home activities given in between. Frequently families attend more regularly initially while goals are achieved and then reduce to fortnightly or monthly as generalisation of skills occurs. How do I know if the therapy is working? All families attending SpeechNet are involved in goal session for their child. The family agree on goals and how these will be measured approximately every 2-3 months. In this way progress is clearly shown. Children achieve certificates on achieving significant milestones or hitting their goals. I have other children. Can they come in too? Yes they can. We are a family-friendly practise and understand getting baby sitting can be difficult. However, you know your own children the best and if you think your child might not be able to concentrate or will be less distracted by others you can either find a time they can be minded or wait with your other children in the waiting room. If this is the case we can bring you in for the last 5-minutes of the session to talk about your child’s success in the session and to suggest home practice activities. Yes, full payment is required on the day of the service. If this creates difficulties please discuss this with our receptionist at the time of booking your session/s. We have HiCaps, so if you have a private health fund that is linked to HiCaps you will only need to pay the gap on the day. If you are eligible for Medicare rebates via an Autism or Allied Health Enhanced Care Plan (EPC) you are required to pay the full amount of the session at the time of the session. We have Medicare Easy payments so on most occasions we can put your Medicare refund immediately back onto a SAVINGS card. NB Please note while you can pay us with a credit card, Medicare rebates can only be returned to a SAVINGS card in our rooms. Alternatively you can take your paid invoice to a Medicare office. If your child is eligible for the Autism Early Intervention or the Better Start Government FaSCHIA funding you do not have to pay on the day. We will need to have a copy of your eligibility form with the child’s CRN number and their date of birth documented. You are asked to sign a consent form for us to access the funding and then an attendance sheet each time your child attends a session. Cash, Credit, EFTPOS, Direct Debit and Cheque. (Unfortunately it is Direct Debit, Cash or Cheque only in our Kenmore rooms). PayPal is available for our Shop products. NO. A Doctors referral is not necessary to book or attend speech pathology. Private health insurance rebates are still available without a doctor’s referral. If your child is eligible for a Medicare rebate (Allied Health Enhanced Care Plan from our GP or an Autism rebate from your specialist) then the referral must be dated and lodged with Medicare BEFORE your Speech Pathology appointment. Rebates are only available for children with specific concerns and you will need to discuss this with your child’s GP or specialist. The Allied Health Enhanced Care Plan is generally available for children with multiple concerns (e.g., may need to see more than one Allied Health Professional) and such referrals need to be obtained from your child’s GP. These Medicare rebates are for 5 session allied health sessions per calendar year and generally there is a gap payment required. The Autism Medicare Plans requires referrals from specific professionals including Pediatricians & Psychiatrists that can diagnose Autism. Rebates available should be discussed with your child’s specialist. If your Private Health Insurance includes Speech Pathology then you can claim our clinical services. It is best to check with your insurer if you are unsure if you are covered. For people with private health insurers linked with HiCaps we can process you claim at the office and you will only need to pay the gap on the day. How much gap varies greatly and again you need to check with your health insurer what their coverage is. If you are not linked with HiCaps or forget to bring your health insurance card, you can pay on the day and put the invoice through your health insurer yourself. Yes. We are a lead agency for the FaCHSIA funding scheme. If you are eligible for the Early Intervention for Autism or the Better Start Program you simply sign a form to indicate your attendance at sessions and we will lodge the claims. We will need a copy of your letter showing your child’s CRN number and date of birth before we can claim. Sessions can not be claimed until you receive this confirmation of eligibility. Who runs the Pop & Top Sessions? Speech Pathologists. Dr Sandra McMahon. Speech Pathologist, PhD developed and devised the Pop & Top Group programs based on current literature in regard to language, literacy and social skills. All Speech Pathologists conducting the sessions have been trained in the approach and the sessions follow the prescribed format developed by Dr McMahon.Speech Pathology is a 4 year university course making the leaders of the group sessions experts in the areas addressed by the Pop & Top sessions. The research shows that expose to stimulating environments for children under 6 years of age lays the foundations for later learning. While your child thinks seeing Pop is just a fun outing, you know as a parent that their learning potential is being optimised. Unlike other playgroups and the like, Top Talk® Sessions provide concentrated and focused input, enhancing skills she has and filling in gaps you may not be aware are there. Top Talk® is about optimising. Early and effective exposure to new concepts, vocabulary, pre-reading and social skills encourages life-long learners and confident communicators. These are the skills that have been shown to be in early readers in the first few years of life. Besides the sessions are simply great fun!!!! Children love listening to stories and participating in games with other children. Pop™ and his Top are fun characters embedded in the sessions and books to engage and delight children. We conduct special Early Talkers & Quick Learner Groups. These groups aim to provide opportunities for children of like minds to interact and enjoy learning. Early reading concepts, vocabulary (often way above what would be expected for young children) is developed and interactional/conversational skills are encouraged. This also gives parents to an excellent opportunity to interact with other parents with quick learners. No one questions supporting children finding it hard to learn, but children in the top 10% also learn differently and these groups allow their individual learning style to be supported. A formal assessment of their IQ or “giftedness” is NOT required. Unlike many other playgroups, Top Talk® Sessions are not age dependent. We encourage children to go into groups according to their “communication age”. This ensures that input is at or just above their current level of functioning, and so enhancing new learning at all levels. Children who talk early and talk a lot often need lots of input to keep their minds occupied and teach them that there are still lots of fun things to learn! If a child walks early we don’t tell them to stop walking and to crawl until the other children catch up. Therefore, if a child is 10 months and ready for talking in sentences then let’s encourage that. If a 3 year old is an effective communicator and loves to “discuss topics” and asks endless “why” and “how come” questions, then let’s reward their eagerness to learn and join the Talking Topics™ module. If they like to tell their own stories, then join the book reading based groups that begin to focus on pre-reading skills and encourage them to take ideas in books one step further (Talking Together™)! We run fun groups specifically for late talkers. Children by 18 months generally have 20 words and by 24 months of age the minimum is generally expected to be about 50 words. The fun games and activities in the late talker groups are aimed at increasing the number & range of words as well as developing new and longer sentences. If you have any notable concerns about a late talker, it is always advisable to talk to a pediatric speech pathologist about obtaining a formal assessment of their skills and to ask about specific remediation options. However, Top Talk® Sessions can provide you with either a starting place. If your child is already seeing a speech pathologist in regard to late talking concerns, Top Talk® Sessions can provide an excellent way to supplement formal remediation by offering a language-rich play group setting. The bonus of the groups is that parents get to interact with a pediatric speech pathologist and watch and learn the techniques that can optimise your child’s communication development. As a parent you know that while your child is having a great time, their learning is being optimised. Handouts and information for parents are provided at the end of each Top Talk® Session, which provide excellent skills and resources for parents to use in the home. Unlike other playgroups and the like, Top Talk® Sessions provide concentrated and focused input, enhancing skills and filling gaps that you may not be aware are there. There are lots of foundation shills needed before good speech can be produced. Top Talk® is about optimising. Early and effective exposure to new concepts, vocabulary, pre-reading and social skills encourages life-long learners and confident communicators.